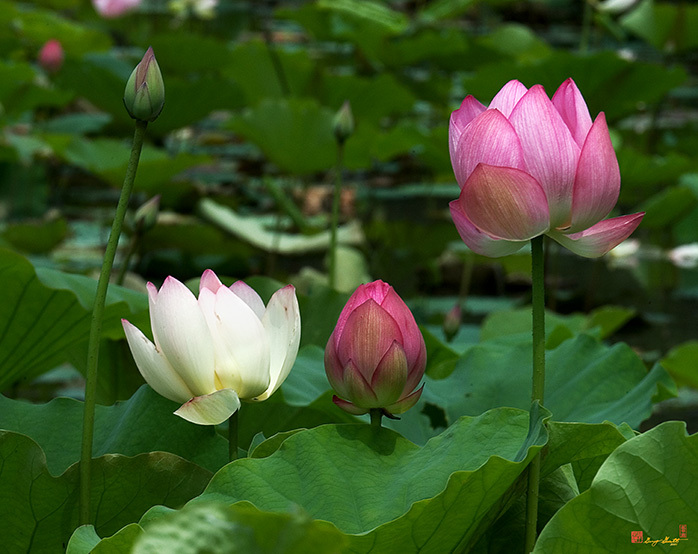 To the Chinese, the lotus flower represents creative power and purity amid adverse surroundings (the muck and mud of the pond). 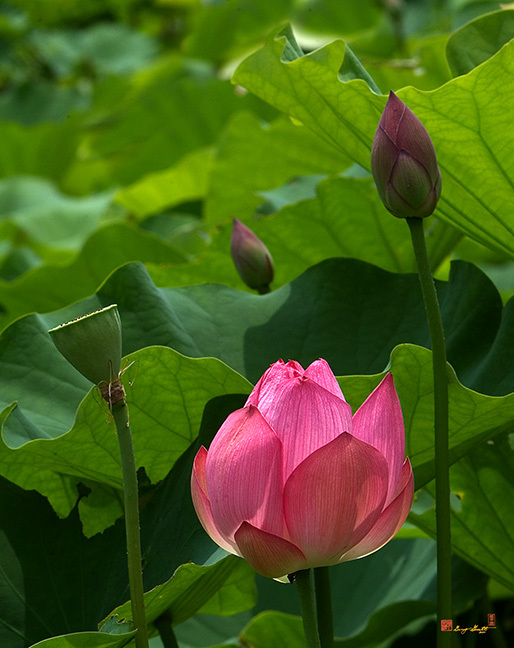 It is also a symbol of the seventh month and summer when lotus begin their blooming season. 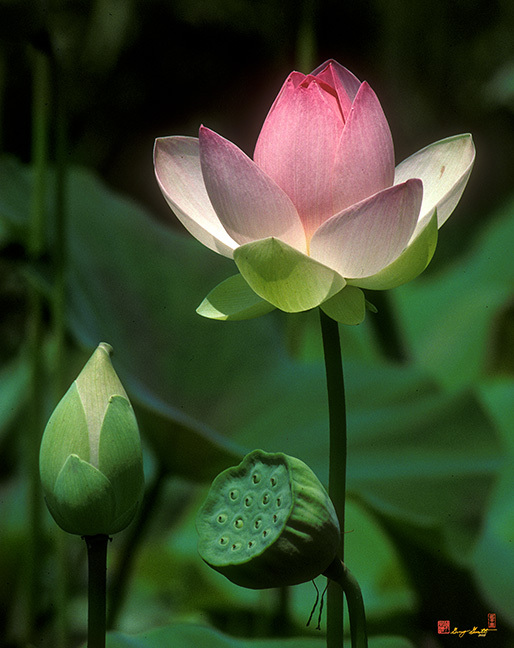 In Buddhism the lotus flower symbolizes faithfulness. The golden lotus mentioned in Buddhist sutras has two meanings: the symbol for the achievement of enlightenment, and a real flower which is beyond normal perception. 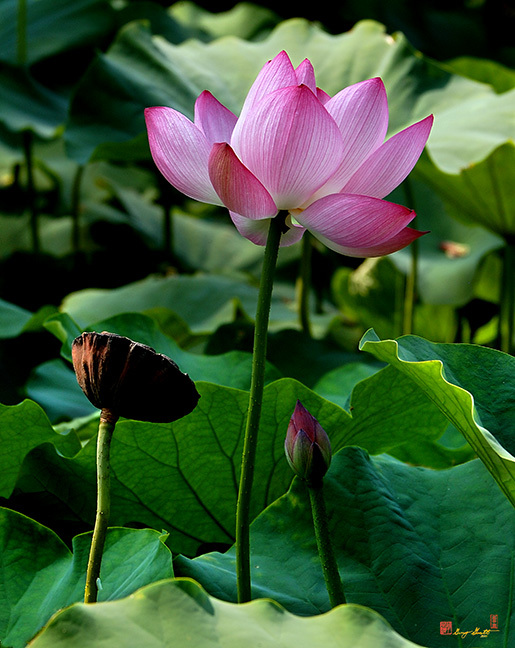 Chinese poets also use lotus flowers to inspire people to continue striving through difficulties and to show their best side to the outside world, no matter how bad the circumstances may be. Another symbolic characteristic of the lotus derives from the observation that the plant's stalk is easy to bend, but is very hard to break because of its many strong fibers. Poets use this to represent a close unbreakable relationship between two lovers or the members within a family. Lotus Flower Photography and Photographic Studies.